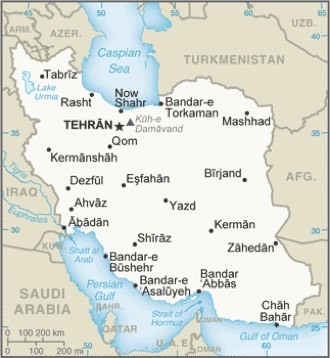 Iran : When and where to go? The climate varies greatly in different regions of Iran, but there are particularly cold winters and very high temperatures (around 40 ° C) during the summer, between June and August. Rainfall is more frequent in the north and west. The most pleasant periods to visit the country are between April and June, then between September and November, avoiding extreme temperatures. Iran has many sites of interest, both from a natural and a cultural point of view. Isfahan, a sumptuous city surrounded by greenery, is nestled in a desert environment that only highlights its monuments and its special atmosphere, its market and its mosques, and its huge Naghsh-e Jahan square, one of the most Of the world. Other cities to discover: Tabriz, famous for its bazaar and its Blue Mosque; Mechhed and its silver mausoleum of Imam Reza, where millions of pilgrims gather every year; Shiraz, with its mausoleums and mosques; The ruins of Persepolis set up in the desert, which was burnt down in 330 BC. AD, and where one can still admire the Palace of One Hundred Columns and that of Apadana; Bam and its citadel, built in clay 2000 years ago. As for the landscapes, they compete without problem with the cities: you can admire the road that crosses the Elbourz mountains to reach the town of Chalus by the sea, and all the region of the Caspian Sea that welcome the city dwellers of Tehran for To rest there; The volcano of Sahand to the west which shaped its lava flows around, giving them conical shapes transformed into houses by the populations; The gulf of Ghar Parau, to the south; The Zagros massif to the south-east and its multiple rivers to the shores that the nomads travel constantly. Not to mention the meeting with a population with legendary hospitality, whose warm welcome will not fail to seduce you. A visa is required to enter Iran, and your fingerprints will be taken. Your passport must also be valid 6 months after your return date and bear no trace of a trip to Israel. The current currency is the rial, although the term toman is used most of the time. (A toman = 10 rials). If you stay at the hotel and you eat a good meal, plan a daily budget of about 100 €. But you can spend less if you are content with sandwiches and less comfortable accommodations. There are many international flights serving Iran: you will land in Tehran, but many other cities have an international airport, such as Isfahan, Shiraz and many others. To travel in the country, you can also use the plane, with flights proposed at very interesting rates. There are also bus lines with comfortable vehicles and very low prices, as well as minibuses for shorter journeys, with slightly higher prices. If you want to travel faster between major cities, take the collective taxis, a little more expensive but still very affordable. You can also rent a vehicle with a driver. Another solution from Tehran, the train, which serves many destinations, is comfortable and inexpensive. In the city you can travel by bus, taxi, minibus, and to Tehran by metro and tram. Health: it is recommended to take a treatment against malaria and to drink only bottled water. Security: it is strongly discouraged at present to go to Iran as a tourist. The border areas with Iraq and Afghanistan are particularly dangerous. Travelers must remain away from gatherings and demonstrations, do not take pictures of public places, and respect dress and behavioral codes. In addition, the risks of earthquakes are very real in this part of the world: find out what to do in the event of an earthquake.